Today’s business operations look very different from the way they functioned even a decade ago or less. There is no business in today’s global marketplace that doesn’t have a broader reach, an online presence, and a collection of data to protect. From the smallest local dental service to the largest oil and gas conglomeration, every business has a need for cloud services. Why Are Businesses Flying to the Cloud? Cloud services are simply a way to shift the cost and responsibility of the physical storage of data and processing from your business to your service provider’s business. The service provider is built to cost-effectively deliver agile, scalable access to powerful computing resources, whether you have 20 employees running applications on virtual servers or 20,000. Businesses are shifting to cloud services because of the remarkably efficient way in which it delivers infrastructure without requiring a costly investment in owned and maintained hardware. Cloud services provide a number of benefits to businesses regardless of size. Companies are shifting to cloud services because it makes sense. Cost predictability leads to better long-term planning. Better long-term planning leads to better agility. Better agility leads to the ability to be more competitive and responsive to customer needs. And that all leads to better profitability. When you stop having to think about managing your IT, you can focus on the part of your business that attracts and retains your customers. Your IT Support provider should be able to offer fully managed and customized cloud services with secure storage in a Calgary-based secure facility with 24/7 monitoring. Cloud services are not a one-size-fits-all solution. The ITeam will work with your Alberta business to customize a cost-effective solution and help you develop a comprehensive cloud services plan that will ensure the continuity and competitive edge you need. To learn more about how The ITeam can help you make the shift to cloud services, contact us for a free consultation. Hosted services are the aspirin for your headache and the cure for what ails your IT infrastructure. The combination of these elements provides comprehensive security, capacity, scalability, and access to state-of-the-art equipment. It helps keep your business operational in the most cost-effective and customized manner possible. How Are Hosted Services Provided? Hosted services are provided in a highly customized manner that may be different for every client. A client in the health industry may be singularly focused on backup and recovery as a means of protecting patient data. An oil and gas industry client may need state-of-the-art hardware that they don’t have to think about or maintain but can still count on uptime. A corporate client may need a combination of services that provides maximum value for the investment. What makes hosted services the future of IT support in Calgary are the limitless customization options available to make the service suit your business needs and budget. Why Does My Business Need Hosted Services? Security – Hosted Services provide updates to your operating systems, filter spams, eliminate viruses and prevent hackers from accessing your sensitive data. One of the most crucial roles of hosted services is to enhance security, increase uptime, and allow business leaders to maintain their focus on their clients, not on their IT. Monitoring – Expert-level monitoring of equipment, software, applications, and servers to ensure that anything that might go wrong is stopped in its tracks. Off-site Backup & Recovery – In this age of data breaches, nothing is more crucial than a secure network. Offsite backups are a must for every business, protecting organizations from the loss of data that occurs as a result of onsite server failures, cyber-attacks, or physical catastrophes such as fire, flood, theft, or vandalism. Managed Email – One of the easiest ways to prevent security issues is to filter them out before they ever reach your business. Using a hosted email service provides an additional layer of security to every aspect of your operation. The ITeam provides hosting services and customized IT support to Calgary and Alberta businesses, with secure storage and 24/7 monitoring in a Calgary-based secure facility. Hosted services are not a one-size-fits-all solution. The ITeam will work with your business to customize a cost-effective solution and help you develop a comprehensive plan that will ensure the peace of mind you need to focus on your business. Calgary businesses should have necessary IT Support in place to ensure continuity. One of the most crucial elements to put in place is offsite backups. Offsite backups are a must for every business. They help to protect organizations from the loss of data that occurs with onsite server failures or as a result of physical catastrophes such as fire, flood, theft, or vandalism. How Do Offsite Backups Work? Recording data to tapes and physically transporting them to a secure storage facility have been replaced by remote, cloud-based backups. Offsite backups are not complicated. Once the initial setup is complete, data is backed up automatically and continuously. Image-based backups provide near-immediate recovery for virtual machines, and online backups ensure that an organization’s valuable data is securely stored in the cloud, accessible from anywhere in case the business is displaced. This data is fully recoverable and restorable so that an organization can continue to remain operational regardless of the issue. What Factors Are Necessary for Offsite Backups? No business is immune to the risk of data loss or disruption from an unexpected disaster. What Should Be Backed Up Offsite? One of the most important considerations in creating an organization’s offsite backup and disaster recovery plan is determining what information is crucial to keep the business operational. 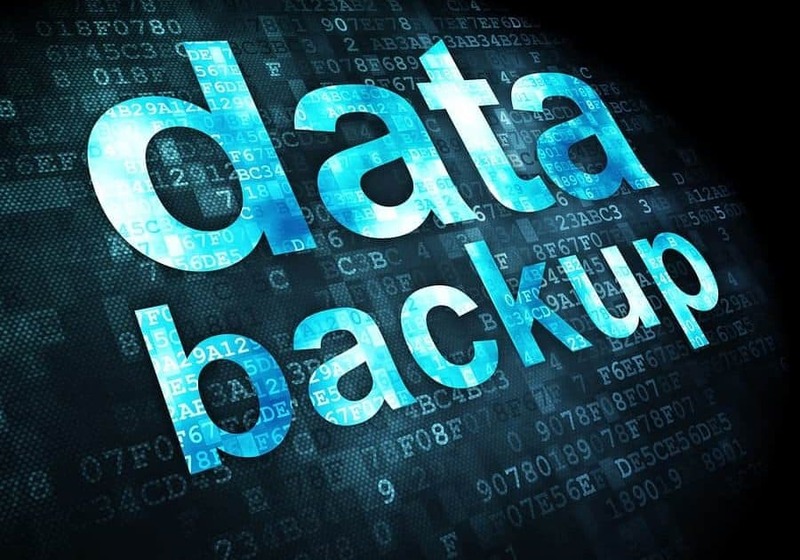 From client data to secure processes, from account detail to current project notes, the offsite backup should include all of the information needed to continue operating if returning to the business location is not an option. Such information may include emails, documents, contracts, images, tax records, applications, and other rudiments necessary to conduct the day-to-day operations of the business. What Are the Benefits of Offsite Backup? There are a number of benefits to offsite backup, not the least of which is peace of mind. Knowing that business data is stored safely and securely so that it is accessible no matter what happens allows business leaders to focus on achieving business objectives rather than worrying about what-ifs. Your IT Support provider should be able to offer fully managed and customized offsite backup services with secure storage in a Calgary-based secure facility with 24/7 monitoring. Offsite backup and disaster recovery is not a one-size-fits-all solution. The ITeam will work with your Alberta business to customize a cost-effective solution and help you develop a comprehensive disaster recovery plan that will ensure the continuity you need. What would an hour of downtime cost your business? Maybe even the loss of a client? In today’s era of image-based backups, cloud services, and cost-effective on-demand IT services, there is no reason why any business should risk being without a comprehensive disaster recovery plan. And that is the key: Solid disaster recovery begins with planning. What elements of your business are so essential that you cannot survive without instant access to them? What information or data do you store that, if lost, would put your customers at risk? What proprietary business data do you need to be protected in order to maintain your position in the industry? Once the essential elements that make up the structure of your business have been identified, creating a disaster recovery plan becomes easier. Your disaster recovery plan should integrate with your business in a way that prevents downtime from disrupting your business continuity. Part of your disaster recovery planning requires you to consider different scenarios. Having your location damaged as a result of fire or another natural disaster necessitates different protocols than discovering a disgruntled employee has deleted files or compromised security. In each case, you need to have an action plan in place and be able to respond swiftly. An oil and gas company may need to prioritize security. A dental office may need to prioritize access to patient records. Legal and financial firms will need to address regulatory compliance in their planning. Most organizations will need to consider the impact of BYOD technology and how that impacts security and disaster recovery both positively and negatively. 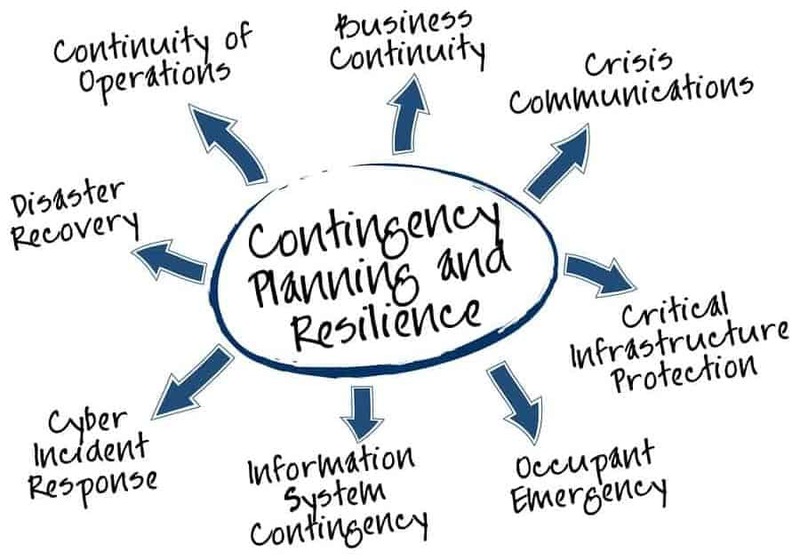 Planning for disaster is essential for every business that wants to remain functional, whether a minor disaster occurs (a server fails, an employee deletes essential information) or a dire situation threatens to disrupt your business continuity. Ideally, you will be able to create a disaster recovery plan that is comprehensive enough to keep you operational in any situation and flexible enough to meet your specific needs. Disaster recovery is not a one-size-fits-all solution. The ITeam believes that over the next few years, the adoption of technology in every aspect of life, both personally and professionally, will rapidly accelerate. Businesses will embrace the way technology serves to improve interactions with customers, the experience customers have with businesses, and the ability businesses will have to be more productive. Along the way, every business leader will be forced to consider how to balance the cost of technology with the need to remain risk averse. The road to the digital future must be paved with security. And businesses will have to balance how they approach security so that their customers and data are protected, while at the same time their ability to be flexible is not impeded. Businesses will rely on IT partners to use mitigation tools and risk assessments. 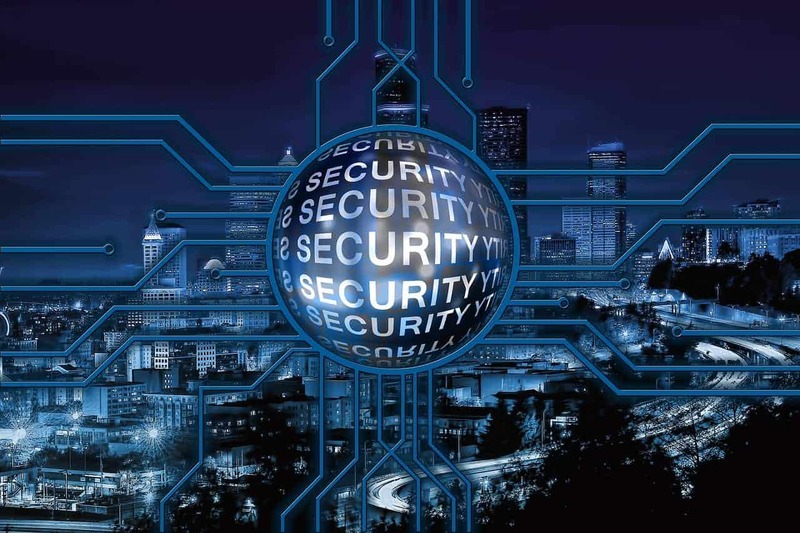 IT security will move beyond firewalls and virus detectors, employing a multi-faceted approach to better detection and prevention. In 2015 the adoption of IT security cloud services will become the norm. Indeed, hosted services for email, IP telephony, and backup and disaster recovery make more than economic sense. 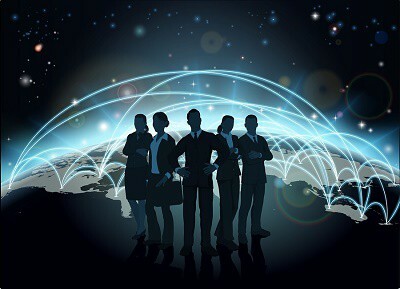 They make sense for business continuity, becoming essential to organizations of every size. The union of mobile and cloud computing will continue to promote the growth of centrally synchronized applications that can be delivered to any kind of device. Management and coordination of these applications will depend on the cloud.